WANT THE BEST trampoline? YOU’VE GOT TO GET A MAXAIR! PROFESSIONAL, GYMNASTICS, AND COMPETITION TRAMPOLINES. Incorporate MaxAir Supertramps into your gymnastics facility or trampoline park. Our higher performance trampolines give your athletes the extra edge to take their performance to the next level. 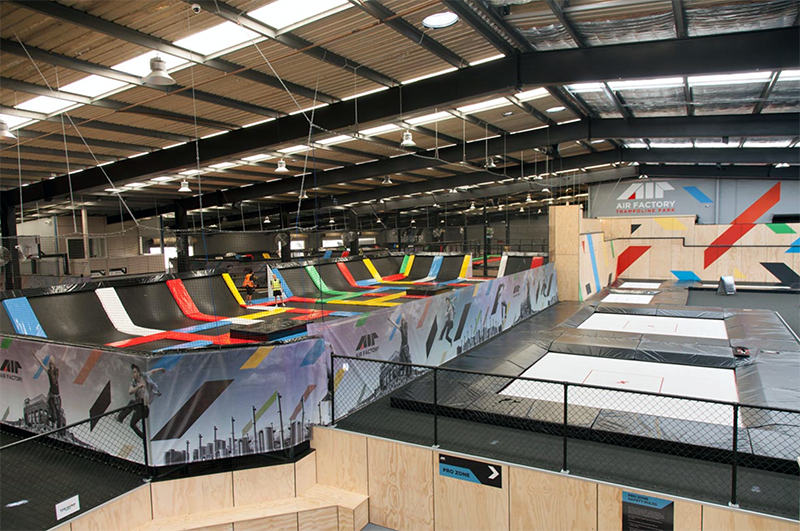 For trampoline parks, MaxAir extreme trampolines increase the excitement with increased bounce heights. Our advanced teams of designers and engineers can retrofit any existing trampoline area, or we can custom design trampolines to fit into spaces that you didn’t think were usable. We can also coordinate with new construction projects. Our standard and custom setups offer unlimited options to get you up and running, and flying high. Our heavy duty springs and beds stand up better to extreme use, and our replacement parts, repair kits, and trampoline accessories are readily available to keep you going. Ask about our Trampoline Bed Rotation Program—it’s a great way to keep your trampolines working at their ultimate performance, and help your business avoid equipment down time. With our choice of pad colors and our ability to print anything on your trampoline beds, we can help you custom design a color scheme to fit your gymnastics facility or trampoline park brand, or give you an exciting, high-energy look! Trampoline parks benefit tremendously from having our super trampolines. Attract new customers and set yourself apart from other parks by having an “extreme jump zone”, catered to those looking for more height and bigger thrills. 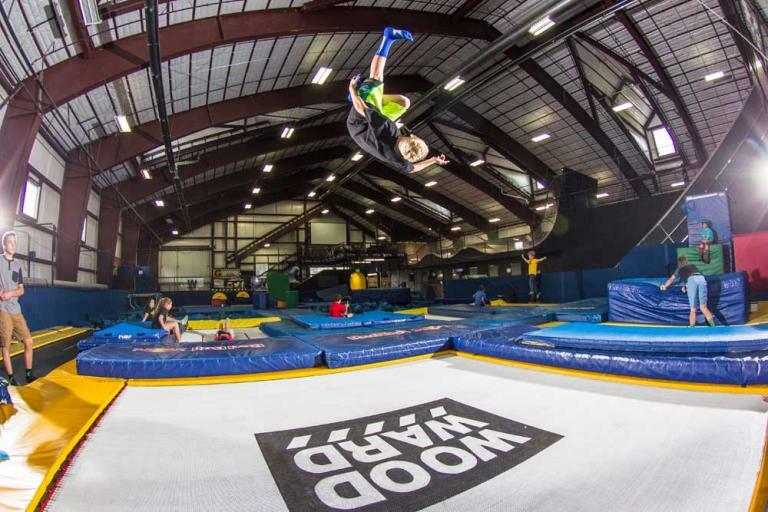 Some of our parks have started weekly classes in their extreme jump zones, which has built up their customer base, return visits, and their cash flow. Extra height leads to more air time, allowing more advanced skills sooner. Offer classes to gymnasts as well as extreme sports athletes, keep them coming back. Increase your cash flow with expanded class offerings and increased enrollment. MaxAir professional trampolines are preferred by extreme sports athletes, gymnasts, divers, and any athlete looking to gain a boost in performance. Our Supertramps are designed with athletes in mind and will help them to take their competition to the next level. The increased air time from the superior bounce of a Supertramp ensures that professional athletes can advance their skills without having to worry about the performance of the equipment. 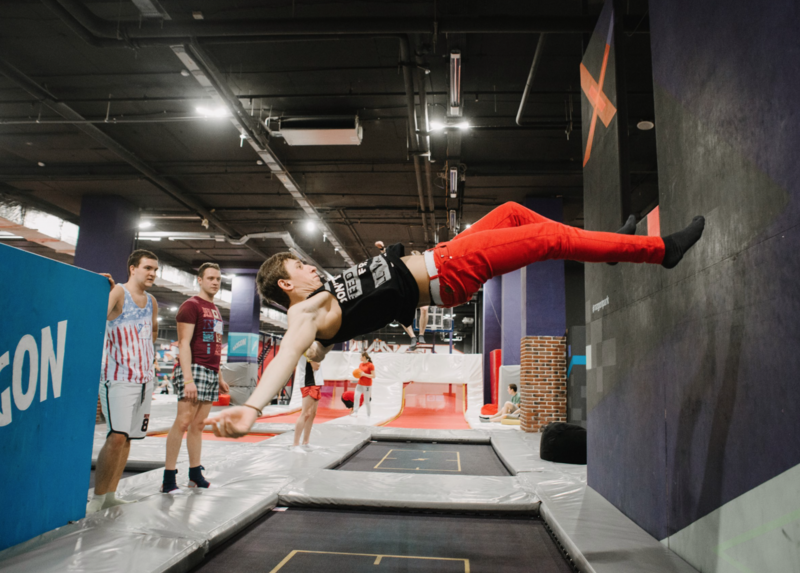 Professional trampolines are a great addition to any commercial trampoline facility or bounce park, attracting professionals and amateurs alike. Maximize performance and let your athletes soar with a MaxAir professional trampoline. MaxAir Supertramps are ideal to be used as competition trampolines. The increased sizes and large sweet spot of a MaxAir competition trampoline ensure that athletes can maximize their competitive edge. Host gymnastics events extreme sports competitions at your commercial trampoline facility to showcase the superior MaxAir trampoline technology. Your trampoline competition will achieve new levels of high flying and performance with a MaxAir competition trampoline.